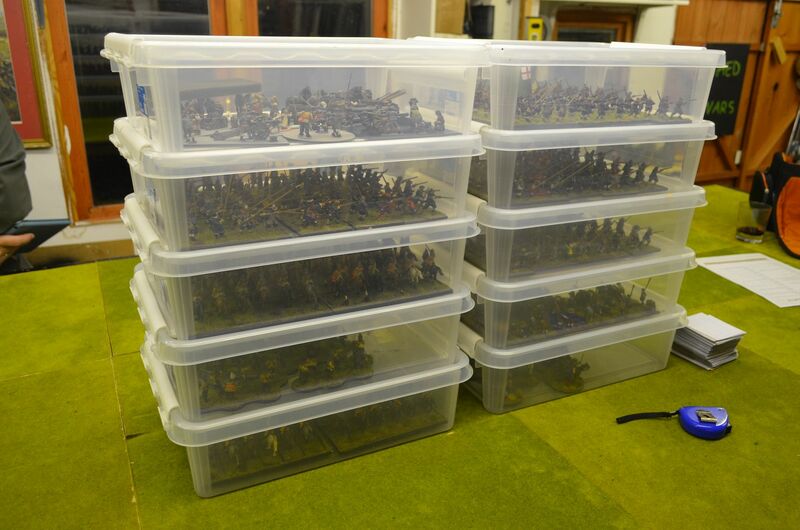 On Monday night my chum Mark came over with his painted ECW army. Whilst painting my Parliamentary force he was busy doing the same with the Royalists. Between us we have painted over 1000 28mm figures since late December 2015 and we are very close to completion. 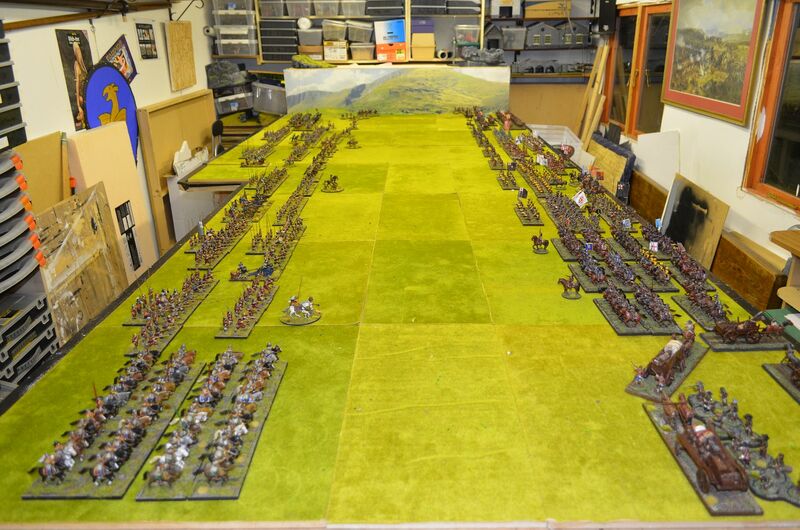 It only seemed right to put out the vast array of troops.... and it soon became clear that my fifteen foot long table is NOT going to be big enough ! The vast majority of troops on show are all Warlord plastics but we have both augmented our forces with a sprinkling of Bicorne, Redoubt, Perry, Foundry and a few others. Its a good thing there is an extension planned ! 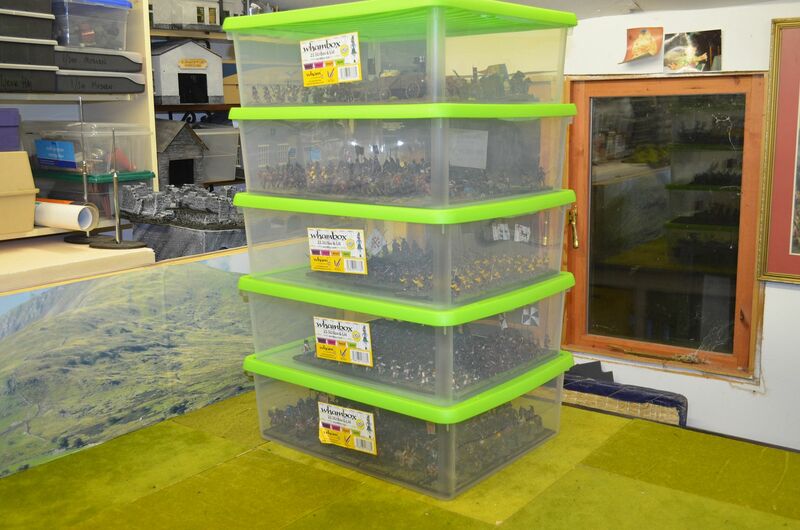 All the forces are mounted on movement trays and it took us no longer than 10 mins to clear away into the boxes we had both bought for the project. Back from Salute 2016 and as per previous years I wandered the show and took plenty of photos. If the last two years are anything to go by these posts are always popular - over 8000 hits last year ! This year the organisers can be very proud. I thought it was an excellent show, lots of traders, all the usual the vendors and more. It was interesting to see that many traders were featuring their own games both on the stands and in the general games areas. Plus the entry system seemed to work perfectly. We pitched up at 10am and apart from 10 minutes of herding it all went brilliantly. If anything this year felt busier than last - it will be interesting to see the numbers, and judging by what I saw most of the traders I visited appeared to be busy with plenty of cash exchanging hands. Over the last few years I have noticed that the big historical wargame has given way to small skirmish actions on small tables. In particular science fiction must be the dominant genre given the plethora of stands selling their wares. This I think is sad - small tables and a few figures are going to kill this industry in the long term. I do understand that not everybody can lay on big games with lots of troops but if there is no inspiration there will be no aspiration. I met up with a good number of friends and met a few new ones. I spent too much money (I'll post the haul in a separate post) and generally got everything I wanted.